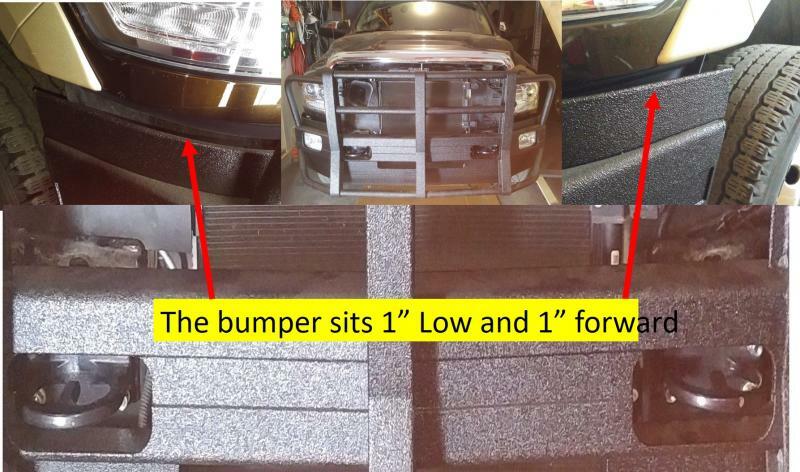 I am installing a Ali Arc DGR 227L Front Bumper on my 2014 Ram 3500 Diesel Laramie Longhorn Dually. Since I purchased the Bumper used I did not have the Instructions. I installed it however it does sit away from the Truck at the front and the sides dont meet the bottom of the fenders. 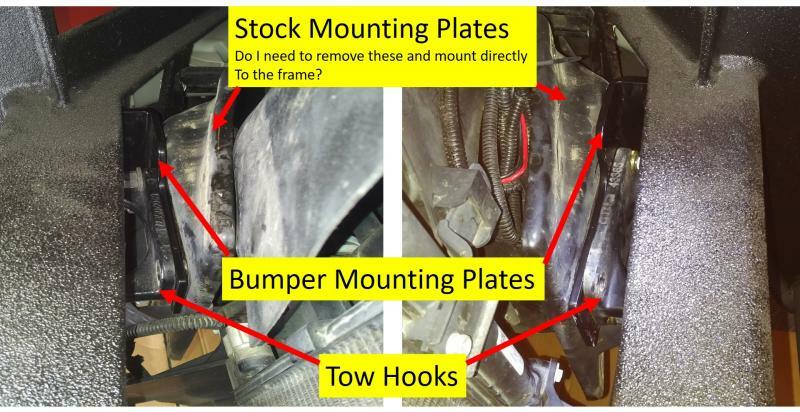 In order to get it closer to the truck and the fenders, do I need to remove the original mounts behind the Tow hooks and reinstall the bumper to the frame. If so that would mean removing the Intercooler mounting bolts to get access to the original bumper mounting brackets. 2014 Ram 3500, Laramie Longhorn, DRW, 6.7 Cummins Turbo Diesel,Aisin HD 6 SP Trans, 4-10 Rears, Ultimate 5000 Airlift Air Bags, Torklift Stable Loads and Torklift Fast Guns camper tie downs. Cargo- 4300 lbs Host Triple slide truck camper. Any adjustment to the mounting? Small adjustments near the center go a long way by the fender curve. Handshaking, There is a little adjustment with the elongated holes in the mounting plates, however, since I bought the bumper used, I will contact Ali Arc Monday and ask for a PDF version of the instalation Instructions. I hope they dont ask me for the serial number of the bumper as I had it sprayed with Linex. 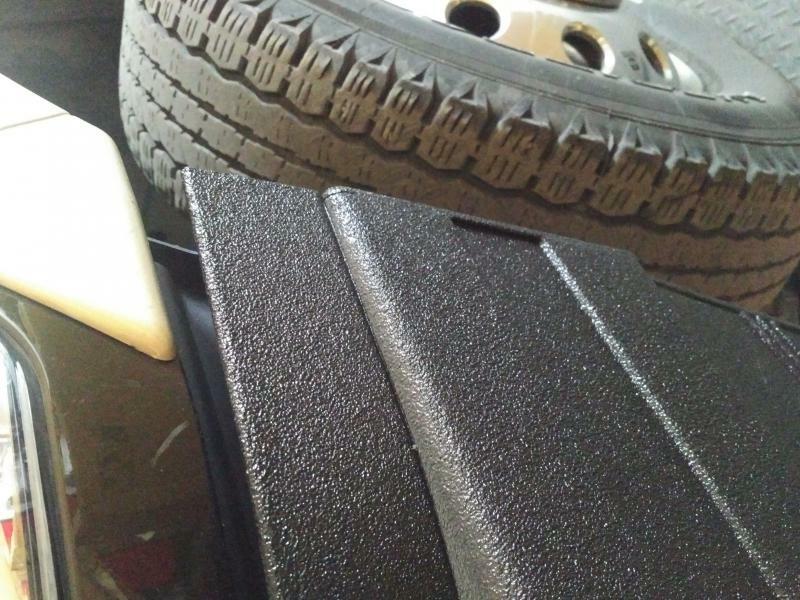 I was hoping someone on the forum installed one of these bumpers on their Gen 4 Ram 3500 Diesel, so I could tap into their experience. I'll admit, that doesn't look right but looking at some of the pictures on their web page, that might just be how they fit. The fit in the pictures leaves a lot to be desired IMO. I have to agree with Khaki, after looking around online it looks like this is a loose fit. I'd recommend finding a local fabricator/body shop and just tell them to do what they have to do with the mount to get it high and tight to the front. Thanks guys! I will do as you suggest, I will call an Installer and see what they charge to mount it correctly. I emailed Ali Arc, last night and it was answered between flights at 10am today, (Fast response!) , anyway, glad, as they emailed Instructions specifically for my Truck and bumper type, and I didn't have to dissect anymore of the mount. However I have to remove the bumper and remount the brackets with the Tow Hooks (level both sides) then mount the Bumper to the Brackets on the truck and adjust.